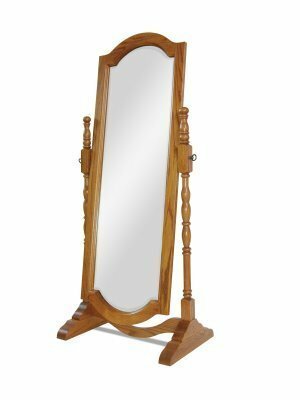 Our beautiful Homestead Cheval Mirror is handcrafted by skilled Amish woodworkers and finished to an heirloom quality that is sure to last generations! The Amish Furniture Bedroom Homestead Cheval Mirror will bring style into any room! Built from 100% solid wood this Cheval Mirror tilts to accommodate different views.